Adequate income is a basic need in Afghanistan, since all daily needs (from food to water to fuel) must be purchased. 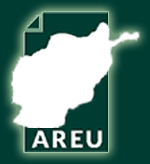 Raising sufficient income to survive in urban Afghanistan is especially challenging for the poor who lack basic services, skills, education and other assets needed to obtain a decent living. 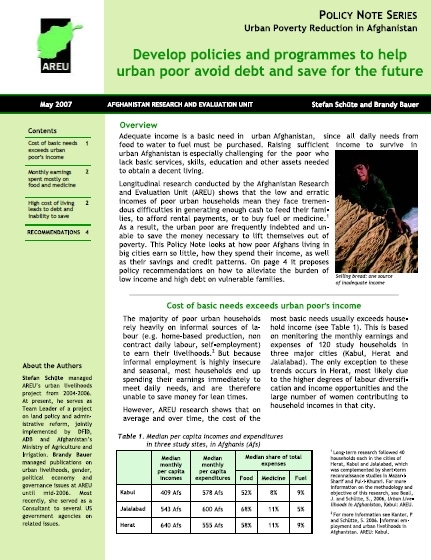 This policy note looks at how poor Afghans in urban settings earn their income as well as their savings and credit patterns. It also proposes policy recommendations on how to alleviate the burden of low income and high debt on vulnerable families.